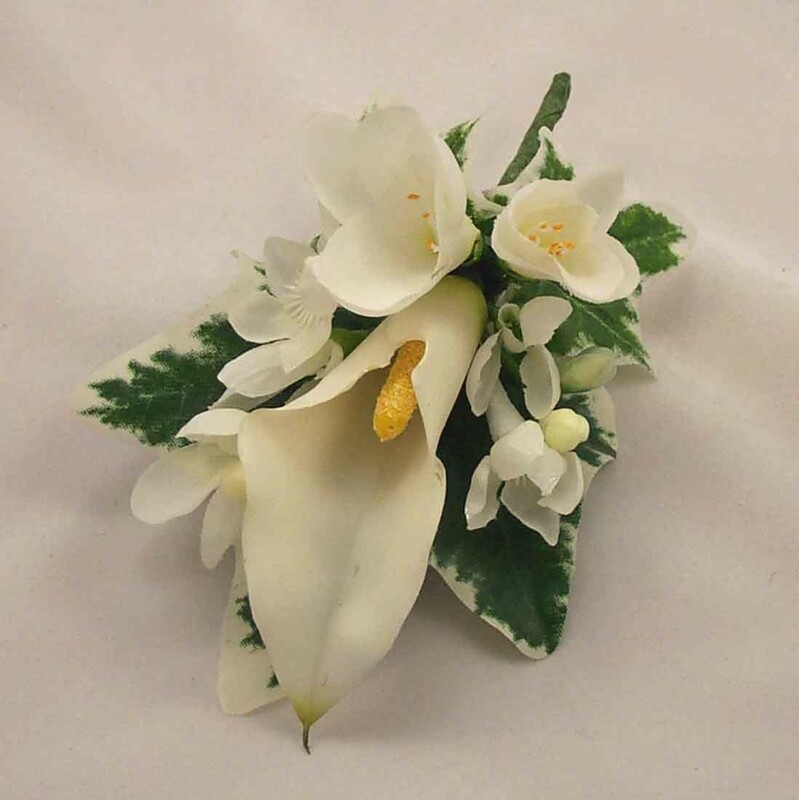 A stunning corsage created with an ivory cala lily and selected foilage. This buttonhole can be made in your colour scheme and different variations for your wedding guests. We have many stunning designs of buttonholes in our collections.